Prakash Bundun has been appointed Home Manager at Charters Court – our nursing and residential care home in Felcourt Road, East Grinstead. Above: Prakash Bundun, who has just been appointed home manager at Charters Court – a nursing and residential care home in Felcourt Road. 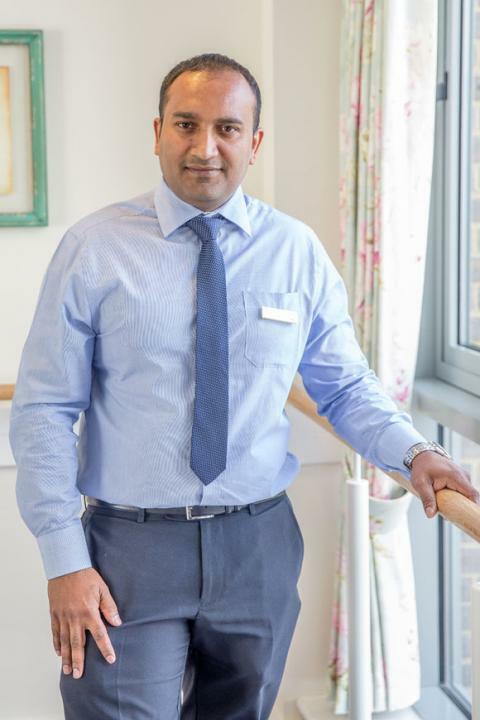 Prakash, who lives with his wife and two daughters in Caterham, has been a registered general nurse since 1997 and a registered care manager for over 10 years. Before starting at Charters Court he worked for a number of the UK’s leading care providers. “We want Charters Court to feel like a ‘home from home’ for our residents and ensure they enjoy as fulfilling a life as possible,” said Prakash. When he is not working, Prakash is an enthusiastic football supporter – following Liverpool – and also enjoys swimming and watching movies.